Newmarket must have been great fun if you were a town planner before the 1890s. Standing on the high street, you could throw a jockey into three separate parishes, two separate counties. Can you imagine all the bureaucracy, the red tape! The whole area east of the high street, including the shops that front it, was in the Cambridgeshire parish of All Saints. The area to the west of the high street was the Suffolk parish of St Mary, but an invisible line just beyond the church marked the boundary with the parish of Exning. In terms of area, Exning was by far the largest parish in town, and the mother parish to Newmarket; the new market that was set up in the 13th century by Exning merchants who realised there were richer pickings to be made on the Cambridge to Bury road which ran a couple of miles to the south of the village. When Newmarket expanded in the 19th century, the bulk of the ordinary peoples houses were built in Exning parish. Exning parish became the most populous part of Newmarket, and remains so today. If you leave the High Street by the clock tower and head up the Exning road, it isnt long before you cross the invisible line. Here, the terraced houses soon give way to 1930s developments, but, before you reach them, on your right there is a grand 19th century development. This is White Lodge. Today it is expensive town houses, and before that it was Newmarket general hospital. But, as you have probably guessed, it was built as the Workhouse. Just in front of it is a sweet little chapel. Today it is the church of St Philip and St Etheldreda, a chapel of ease to Exnings medieval parish church of St Martin, which is to the north in the historic village centre. But it was built in the 1860s as the workhouse chapel, and is unique for two reasons. 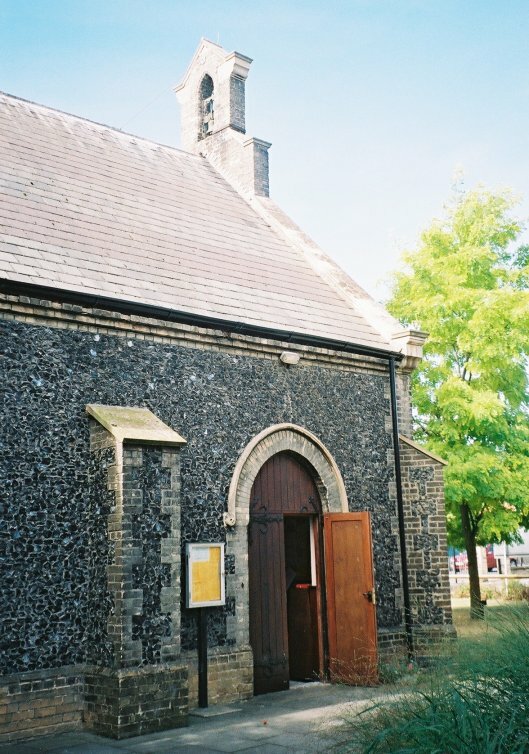 It is the only workhouse chapel in Suffolk that is still in use as an Anglican church, and it is the only workhouse chapel in Suffolk that is actually a Cambridgeshire workhouse chapel. The reason for this is simple. Workhouses were built to provide the services demanded by the parish poor laws. However, individual parishes were unable or unwilling to provide this level of service, so they banded together into Unions to build workhouses. 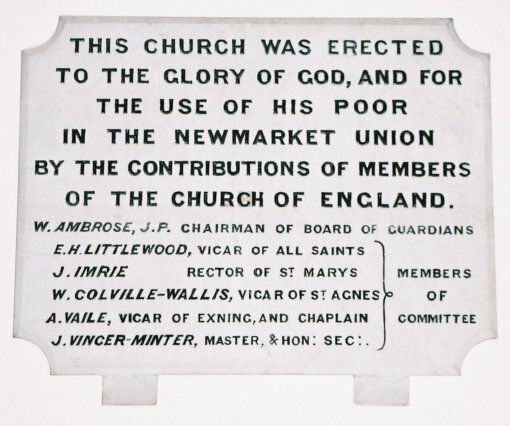 These Unions were most commonly organised along the lines of the historic Hundreds, and the Newmarket Hundred consists almost entirely of Cambridgeshire parishes. Only Exning and Newmarket St Mary were in Suffolk. 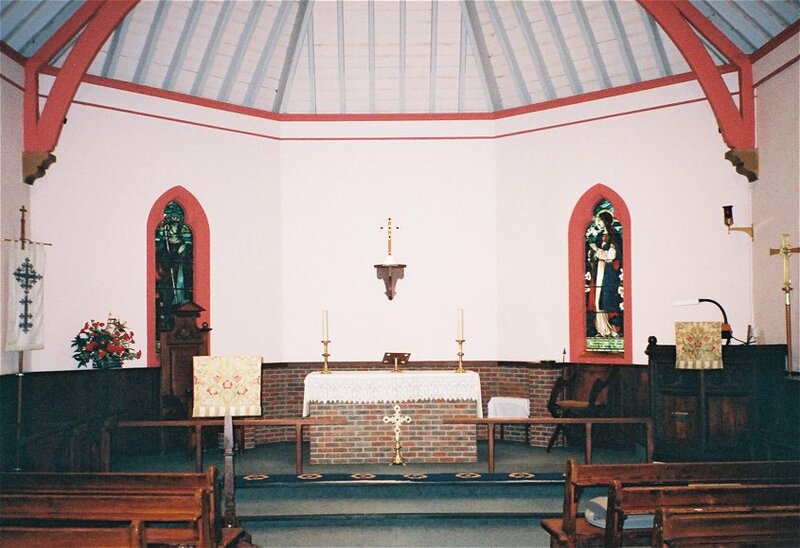 Before the chapel was built, services were held in a large room of the workhouse. 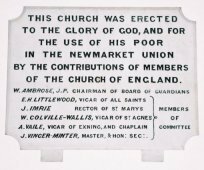 At the time of the census of religious observance in 1851, the entry was made by the new vicar of Newmarket St Marys, the Reverend Robinson. He had just arrived in town, but assumed he would be appointed chaplain, as was the normal practice. He says that the end of the room where services took place was reserved for them, but the other end was used for other purposes, so it was probably a dining room. The chaplaincy here was a mere £50 a year, about £10,000 in today's money, quite a contrast with the rich pickings for chaplains at other Suffolk workhouses. Indeed, St Mary's didn't bring in much more than £200 a year, and seems to have been rather hard work. 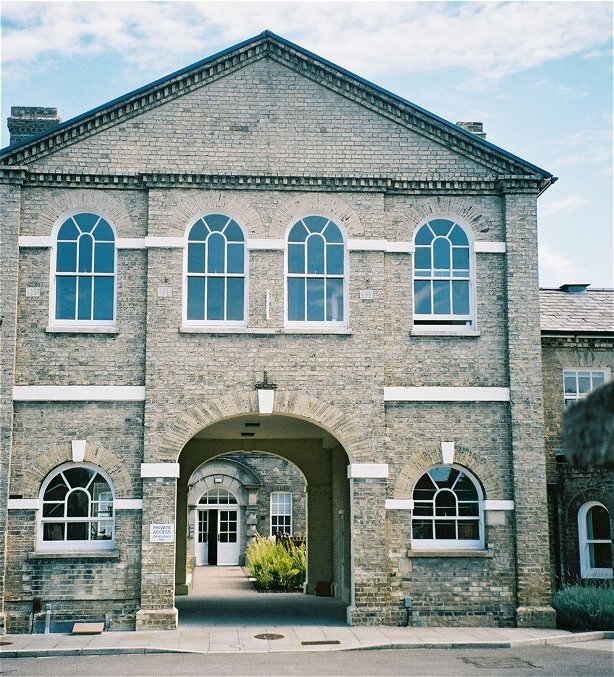 It is likely that the 1860s saw the building of workhouse chapels partly in a response to the catalyst of the Oxford Movement, which led to a revival in what had become an increasingly moribund Church of England. Workhouse chapels were always Anglican, because the parishes were Anglican, and the workhouses were providing a service on behalf of the parishes. When the workhouse became a hospital, the chapel fell into disuse, being used for storage and as a badminton court. It was restored in the 1980s in a very well-mannered and thoughtful way. It retains its 19th century integrity, but is clean and neat and fitting for modern Anglican worship. 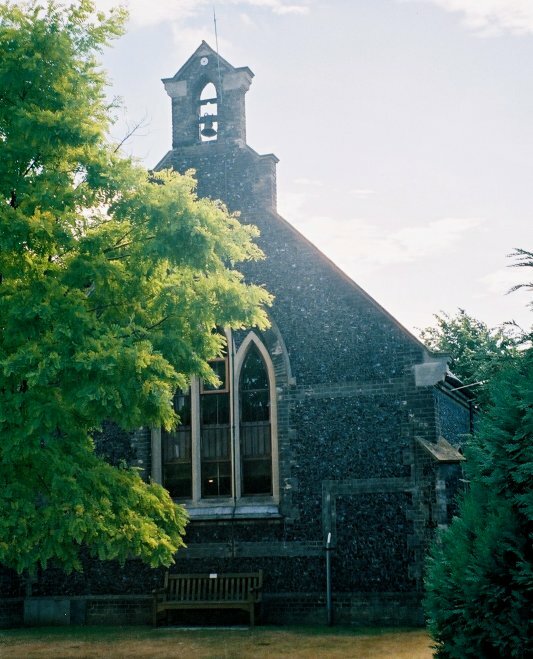 It provides the Anglican parish of Exning with a fine church in the heart of the area where most of the people live. You step in through a door in the north west corner, and find the back of the building partitioned off for office space and a meeting room upstairs. You step through into the foreshortened church, and enter a delightful space, with angled chairs facing a clean, open sanctuary. The altar is of brick, matching the dado behind, and there is also a brick pillar piscina. The screen pulpit is probably original. Pastel shades have been used for the wood work and iron work, and to outline the lancets, and set in the lancets are some excellent windows, probably dating from the 1880s. It isnt clear if they were here when the church was in use as a workhouse chapel, although Vicar Simon Pettitt tells me that, given the subject matter, he thinks they probably were. The subjects include Dorcas, the least good composition, but an unusual subject; she is also to be found at Uggeshall. 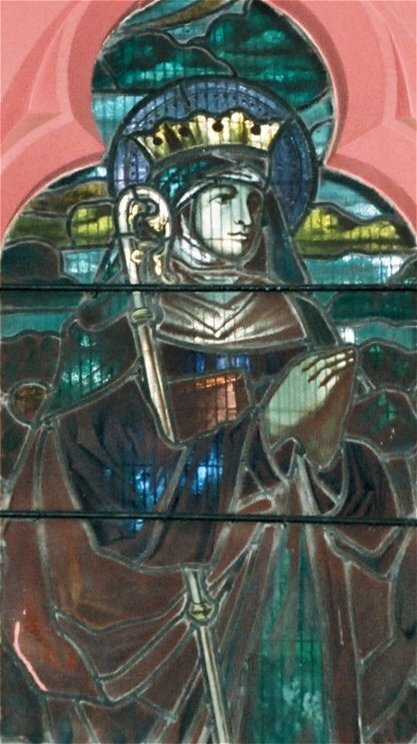 Other subjects include St Etheldreda and Our Lady of the Annunciation. Click on them below to see them enlarged. 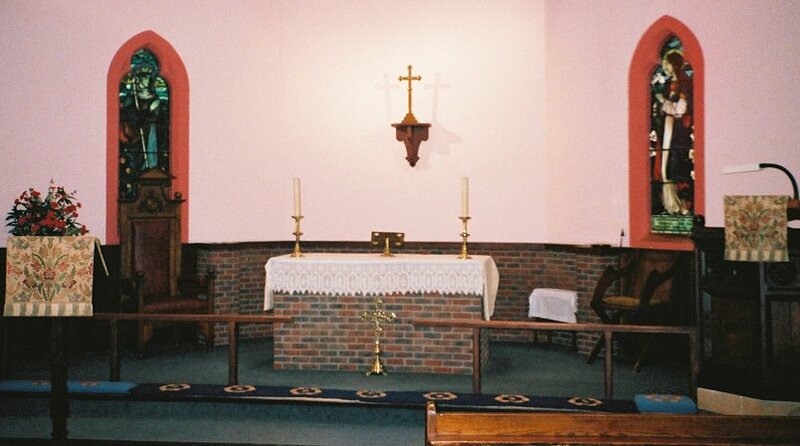 A reminder that we are in an Anglican church is that it retains altar rails, but it would look much better without them. A reminder of the former role of the building next door as a hospital is that several memorial plaques have been removed and placed here, on a small door. 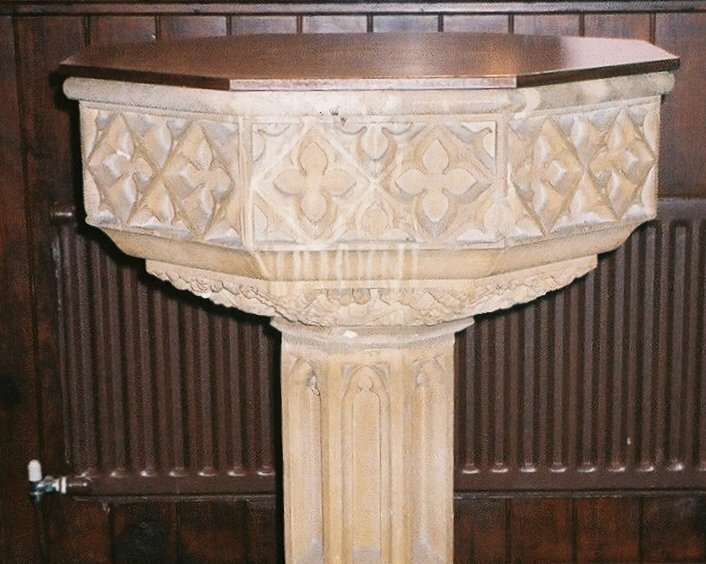 For me, the most moving object is the font, a simple decorated shallow bowl on an elegant column. Think of the sights it has seen, the orphans and the babies of unmarried mothers who have been brought here. Above it is the original foundation stone of the workhouse chapel, including the names of the founding committee. 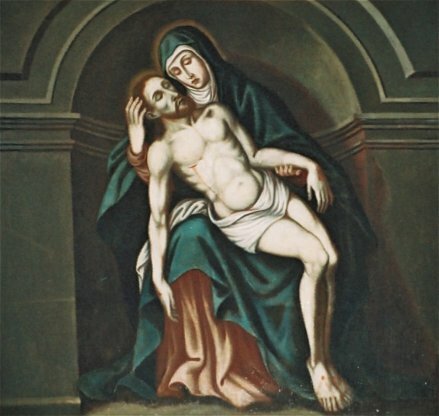 Looking back above the west door, there is a fine painted pieta. This is a super conversion, full of colour and light, and an excellent returning to use of a sanctified space. I hope that there are often prayers for the souls of former users.